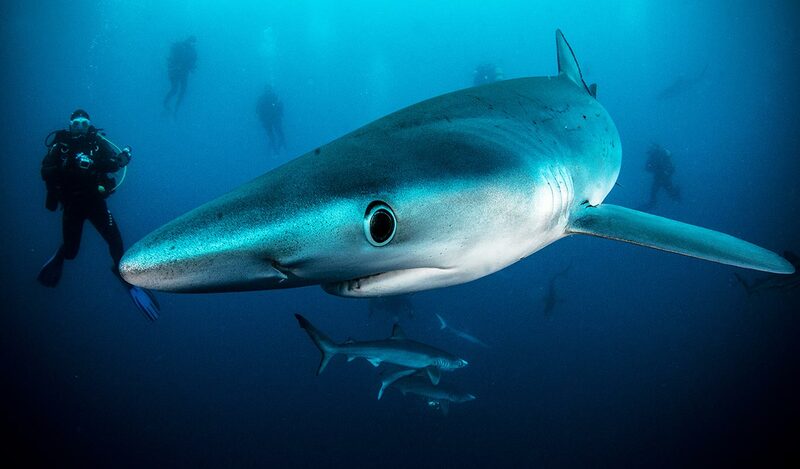 Join Shark Explorers on this adventurous dive with the Pelagic sharks of the open ocean. 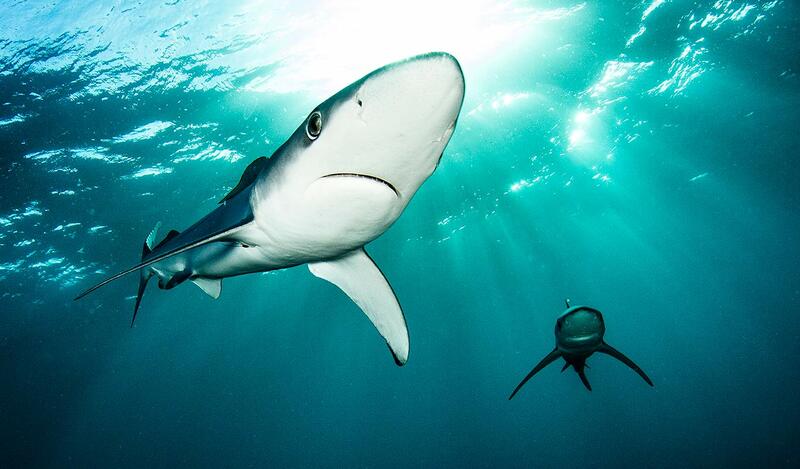 Blue and mako sharks are arguably two of the most beautiful shark species with colours of blue and silver that stretch beyond your imagination. 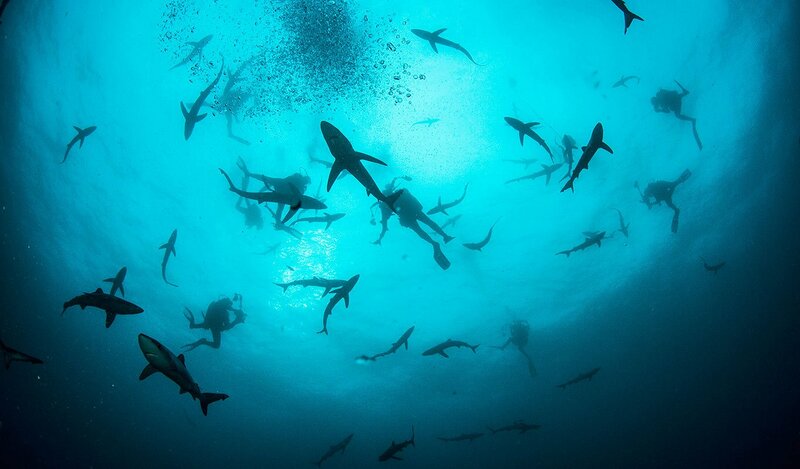 Dive in to the warm, blue water and experience these awesome sharks of “the deep”. Schools of yellow and longfin tuna together with sightings of pelagic birds, like albatross, round off this amazing experience. This is another world which every ocean enthusiast should experience at least once in their lifetime. 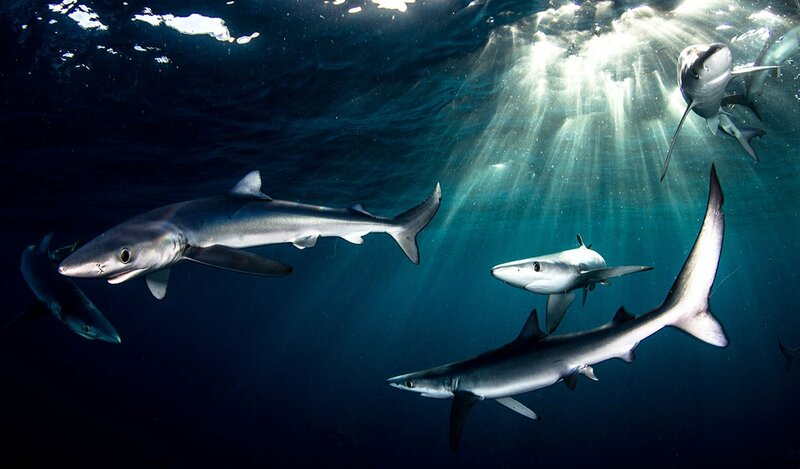 Blue sharks (Prionace glauca) are cobalt blue in colour, magnificently streamlined and can reach lengths of 3.5 meters. They feed on a variety of schooling fish and squid. They have large well-developed eyes that are suitable for surface or deep-water situations. 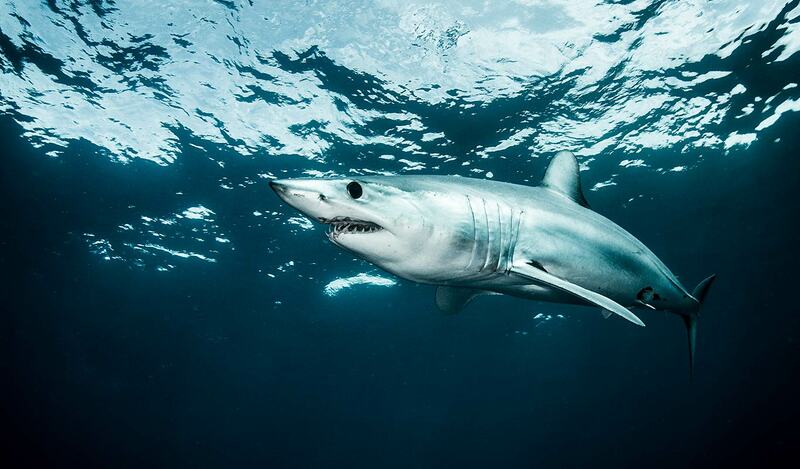 Shortfin mako sharks (Isurus oxyrinchus) are silver and bluish in colour and are more robustly built than the blues reaching lengths of over 4 meters and 1500 pounds. Mako’s are the fastest shark around and rely on their incredible speed to prey on tunas, swordfish and other sharks. 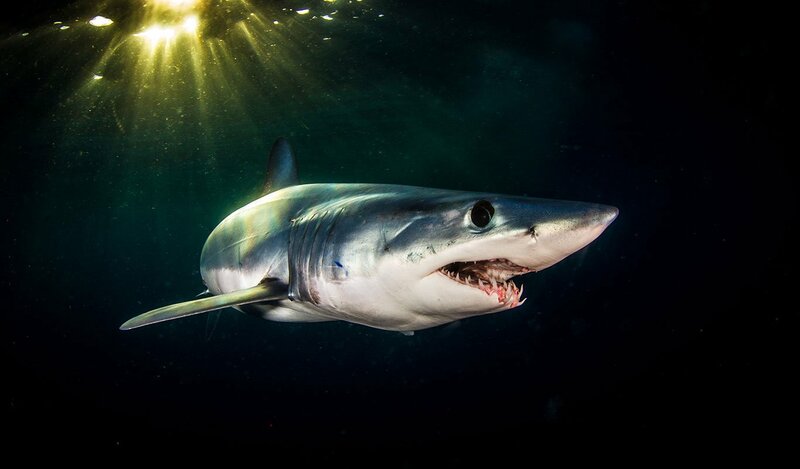 Blue and Mako sharks are listed as Near Threatened on the IUCN Red List of Threatened Species. They are reported to be among the most heavily fished sharks in the world mainly as result of bycatch in the tuna and swordfish fisheries. 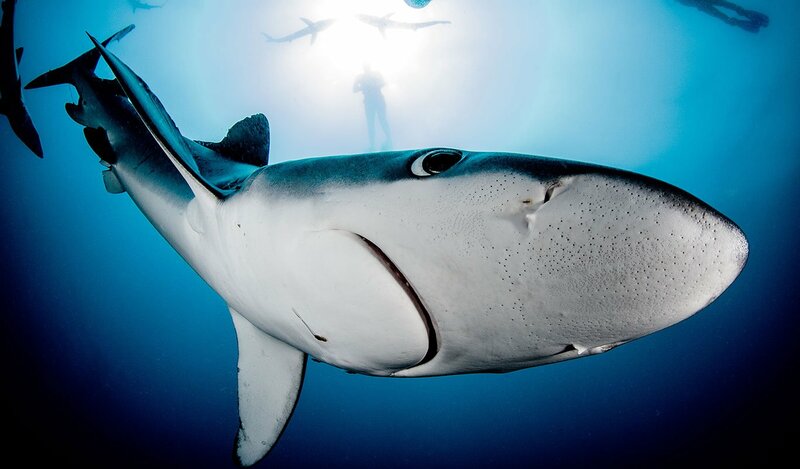 However, significant demand for shark fin soup has led to them being increasingly targeted in pelagic shark fisheries. Confounding the problem is the wide range of these sharks and the lack of monitoring, enforcement and collaboration among range countries. Dive depth: Surface down to 8m max. Other species on this expedition: Orca, Marlin, Yellowfin Tuna, Longfin Tuna, Bonito, Yellow tail, Cape fur Seal, Albatross, Shearwaters, Petrels, Sperm whale, Pilot whale. Guided snorkel/Scuba dive. Weights and tank. Dive briefing and shark presentation. Scuba Diving Rate: R3300 per person (excluding dive kit). Kit rental additional R495 for a full set. Arrive at dive site around 9h30. Receive dive briefing. Our time at sea is based on shark activity and environmental conditions. 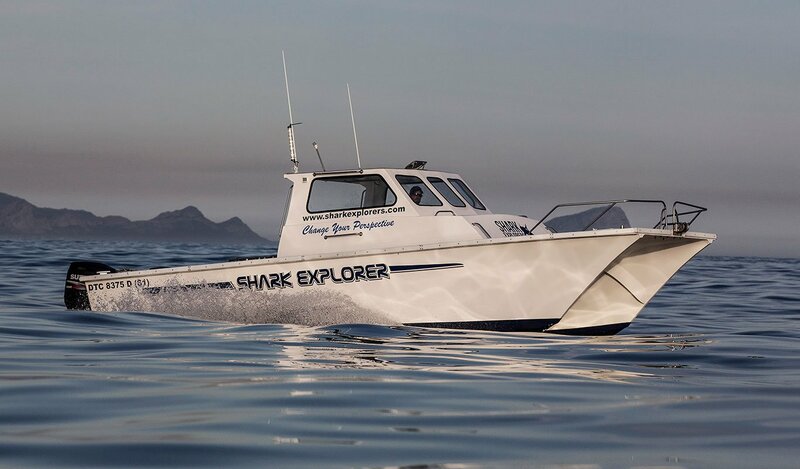 Return to Simonstown pier between 14h00 and 17h00.